A couple of years ago we spent a few days in the mountains between Vienna and Salzburg, Austria in the village of Hallstatt. We got the idea from Rick Steves as many Americans do. Wow, did he steer us in the right direction. This area of Austria is absolutely stunning with lots of activities to do. I'll write a post about things to do in the area soon. 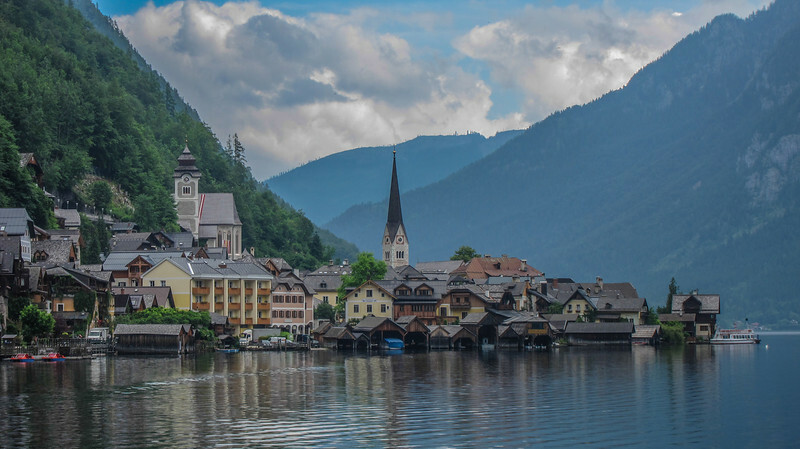 Some people in China like this village so much they made a replica of Hallstatt in China. Pretty amazing. The photo above is a view of the village as seen from the ferry that takes people from village to village. Such a beautiful scene with the old style building and the mountains. Hallstatt itself is a UNESCO World Heritage Site.